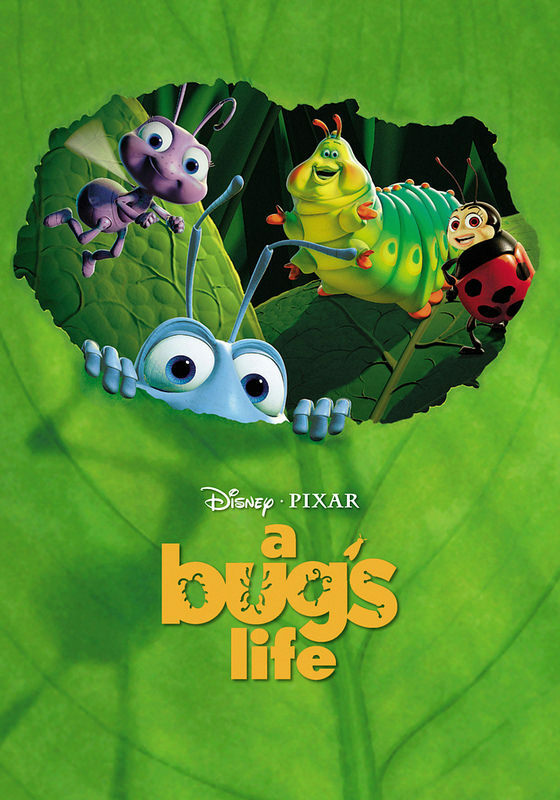 Lets look at a Bug’s Life. The film itself is nothing all that special compared to some of the other big animated films of the last decade, but it’s still a quality film. It doesn’t really do anything wrong and will keep you engaged from start to finish. It’s a fun adventure with good pacing, but you will get the feeling that it’s just lacking something. That extra impact to raise the film from a solid 7 to a great 8. I don’t know what that something is though so maybe the film would bring it for a sequel. The plot starts by introducing us to the Ant pack. These guys are very strong in number, but they are rather passive. They aren’t even confident about going around a leaf without being told how to do it by one of the elders. Their own insecurities have led them to be tamed by the Grasshoppers even though the Ants badly outnumber them. Flik decides that Ants shouldn’t be working for grasshoppers like this and has begun making inventions to help make their lives easier. Unfortunately his inventions often backfire so he is convinced to leave the tribe under the pretense of recruiting powerful allies. That’s when Flik discovers a circus of powerful creatures and realizes that this is his chance. Will the performers want to help? Even if they do, can they possibly win against trained Grasshoppers? It’s a fun enough plot. Naturally when a film is based around animals this can get pretty dicey but the film never goes that route which is fortunate. You wouldn’t really expect animal violence in this film anyway but it’s always good to have confirmation. The Grasshoppers make for pretty good villains. Some of them are even pretty vicious like the leader, Hopper or the one who is always foaming at the mouth. It makes for intense visuals and you do realize that the Ants are doomed in one on one fights. Even as a team they better have really good combos because otherwise they would be wiped out. The leader of the Grasshoppers is also the kind of villain who doesn’t give up easily. Even at the end Hopper was trying to reclaim his dominance at the top of the food chain. Unfortunately he ran into the best character of the film and one doesn’t often walk away from such an encounter. It was actually a rather vicious end for the guy. If the film has a weak point, it would be that most of the characters aren’t all that engaging. I didn’t really care for anyone from the circus. The Ladybug who talks tough never actually acts tough when it’s climax time so he’s out. The others didn’t even try fighting at the end even though some of them look like they should be able to put up a good fight. They were also quick to walk away with the circus owner although I won’t put too much blame on them since the Ants did not want them. That brings me over to the Ants. The Ant Princess is definitely not a quality character and her plans are no good. Even after she figures out the main character’s deception, why send the circus troupe back? They definitely don’t have enough time to meet the Grasshoppers’ demands now so making do with these guys was her only option. Instead she just puts the Ants in a position to be ganged up on and eliminated. As the leader she needed to make a better call. The ex leader, aka the Queen wasn’t great either. She didn’t really do anything the whole time and was content to be on the sidelines. That’s not leadership material either. As mentioned before, this doesn’t apply to the villains though. The Grasshoppers are certainly quite intimidating and the leader knows how to control his pack. If they dare cross him then they must take a punishment. He’s also bold enough to be surrounded by Ants and not care. If only the Ants were as brave. I haven’t talked much about the main character, but I’m afraid that he’s not very good so he fits in with the Ants. Even when the villain threatens to destroy one of the kids Flik backs up and decides to keep the peace. That’s definitely not something that any true main character would do. If you won’t stick up for your friends then you can’t be a hero. The graphics aren’t bad. All of the character models appear to be on point. It definitely has more jungle type landscapes than the average film since most of it takes place in a grassy environment. There isn’t really much of a soundtrack though so don’t expect any great tunes to jam to. The writing is pretty good with a sound script. None of the characters seem over the top, at most they are just very naive like the average Ant. It’s almost hard to root for those guys since the Grasshoppers just seem a lot smarter and more strategic. The Ants have every possible advantage if they would just use it. Overall, A Bug’s Life is a good film. It reminds you of the strength in numbers tactic and that you can’t submit to another species without a fight. If you haven’t seen this film yet then I would recommend checking it out. It’s a solid adventure film with a bit of action which makes for a pretty solid combo. Maybe one day these characters will show up in Kingdom Hearts. The movie doesn’t really leave any cliffhangers as it’s a complete ending but you could easily follow up on it by having another species decide to move in when they hear that the Grasshoppers have fallen. There are a lot of possibilities there. It’s time to look at one of Pixar’s newest films! It’s definitely been a pretty big hit and the film has a lot of heart. 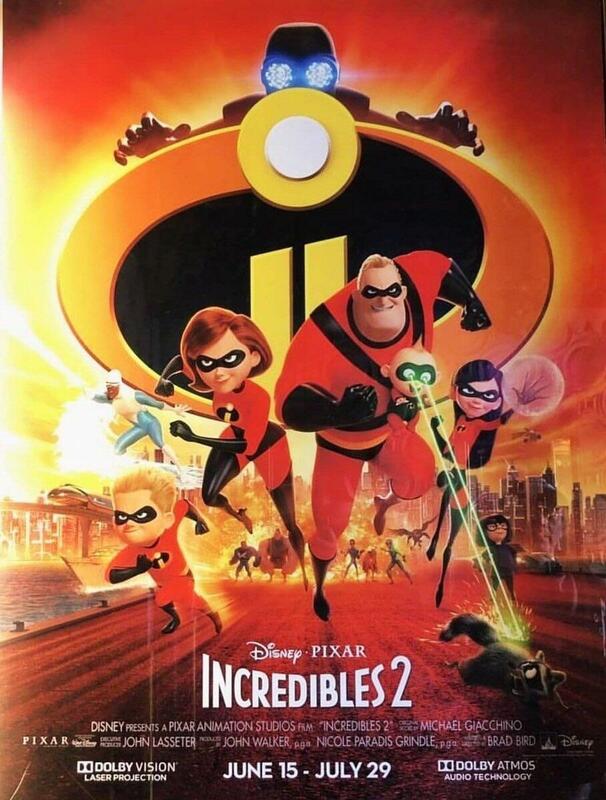 While it may not be the greatest Pixar film of them all, it is definitely quite solid. The music selection is probably Pixar’s best since and Mexican music in general is something you don’t hear too often. If I ever became a ghost I would certainly expect everyone to leave me a lot of Macaroni and Cheese. I didn’t see any cheese products in the film from what everyone was leaving for the ghosts so I felt like this had to be pointed out. The film stars a kid named Miguel who is having a hard time fitting in with his family. They really can’t stand music because a long time ago their great ancestor left the family to become a world famous musician. Miguel believes like Gon Freecs that maybe this was justified and still wants to be a music master. The family forces his hand and which causes Miguel to break into a shrine and steal the legendary guitar. The problem is that he is now stuck in the world of the dead and must find the famous musician to be able to get him back to the real world. Naturally there are a few twists and turns in the film and my plot summary is rather general and cuts out quite a bit. While you will likely see the final plot twist coming about the musician, it doesn’t take away from the character. Ernesto makes for a pretty hype villain and the guy certainly knows how to put up a pretty good front. Nobody dares mess with this guy in either world and he has a strong cult to back him up. The scene where he embraces the song while still trying to get the picture away from the heroes showed that the guy was quick on the uptake and he had no hesitation. This villain wasn’t going to start doubting himself after coming this far or do anything drastic like turning good. Ernesto always knew to seize his moment and never forgot this. As for Miguel, he’s a reasonable main character I suppose. He’s not great, but kids rarely are. At the very least he showed that he was pretty good with a guitar. I think the movie would have worked even better if the main character had been someone like Ernesto, but a lot of the plot would likely have to be retooled if that was the case. Pixar did a good job of keeping him from being too annoying at the very least and I also wouldn’t have accepted going back to the human world with the conditions that were imposed on him from the family. That would have definitely been a little too much if you ask me. Hector, pronounced Ector is another one of the big characters. Again, you’ll probably see his plot coming from his first appearance, but that doesn’t hurt him…the rest of the film does that just fine. I just couldn’t bring myself to be a fan of this guy. Not only did he actually leave everyone for music, but then he couldn’t even see his dream through to the end. In the dream world he is basically a running joke to everyone around him and it’s just hard to sympathize. He was naive to the end and not noticing what he was drinking was a rookie mistake. Perhaps if he had won a fight I would have gained more respect for him, but at this point I think it was all over for him. Don’t think he’s a terrible character, but he is probably the worst character in the film now that I think about it. Despite the film being called Coco, the character doesn’t get much of a role. She seems like a nice enough person I guess, but her memory could use a bit of work. I wish she could talk a little more so she could actually stand up to the others. Miguel’s Aunt/Grandma character seemed reasonable. She was good at throwing her shoes around and keeping Miguel in line even if it didn’t work too well. On the whole Miguel’s family seemed nice. They really just had one rule, don’t associate with music. For everything else they were perfectly reasonable. It’s just a shame that Miguel had to find the one taboo and quickly shatter it. I do have one relatively big issue with the film. It’s the dog’s design. Lately it seems to be an in thing to make the animals look rather ugly at times. Remember how disturbing kid Dorry was in the Finding Nemo sequel? This is even worse as the dog’s tongue is always hanging out as if he is panting and it makes the character hard to look at. That honestly just looks painful and I felt bad for the dog the whole time. He never actually served a purpose in the film and should have been cut out. Whoever did the character design for the dog also should have been fired on the spot or told to axe the design instantly. It’s just so unfathomably terrible and it was distracting whenever he was on screen. That aside, I didn’t really have any problems with the film. As I mentioned earlier the soundtrack was quite good. It probably wouldn’t hold up as well if I could understand all of the lyrics since I got most of them and the songs weren’t exactly my style. The beat of the music is good though which is certainly important. They are all very fast tempo which is exactly what you want to see with good music. Slow songs work once in a while, but I have to stress that these are very rare times and usually a fast tempo is the safe option. The whole ghost dynamic was pretty fun as well. It’s definitely interesting to have a whole system set up, but it does make you feel bad for the people running the scanning program. That was my first thought at the cashier wished the ghosts a happy time on this special once a year day. That’s because the people working the desks wouldn’t be able to enjoy the day themselves. It’s definitely pretty realistic as many people have to work holidays here as well, but I just felt bad for those people. Hopefully they got triple pay. 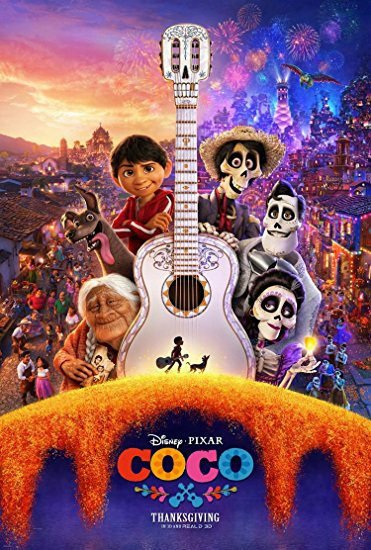 Overall, Coco is a pretty fun movie. Aside from the distracting dog it’s hard to find any real issues with it. I suppose the cast wasn’t great, but we got some solid musical themes and a lot of action pieces so that worked well enough for me. I’d be up for a sequel, but the movie has a really complete beginning and ending so I suppose it’s not like it actually needs one. Pixar continues to impress with consistently good movies so it’ll be fun to see what they have planned for next time. If you haven’t seen Coco yet then I definitely recommend that you fix that! It’s time to look at a retro Pixar film. It’s been a long time since I’ve seen this one, possibly even over 10 years at this point. I enjoyed the Dodgeball game that they made for the Gamecube so it was about time that I gave the film a revisit. It’s definitely aged really well and I’d consider it to be one of Pixar’s better films. Actually, it’s been a while since I’ve done any kind of rankings for it so I’m going to have a list near the end. I’m not sure why this film needed a prequel when a sequel makes more sense, but that’s an adventure for another time. Lets dive into the plot. There exists a world filled with monsters who sneak into kids’ rooms at night in order to scare them. This is because their world runs on scream energy so they scare the kids and then dash back. They have to be careful because if a kid makes contact with them they will die from the poison. As such they can’t even touch anything that has been in touch with a kid. 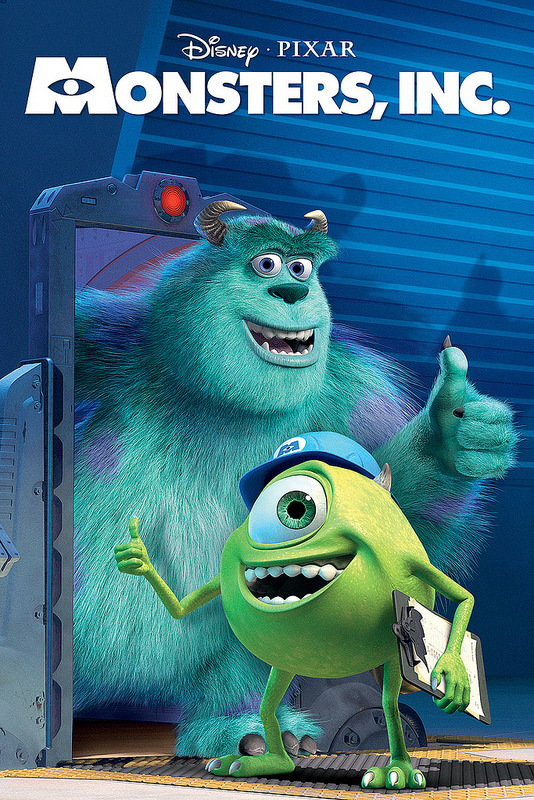 Sully is the best Monster Scarer in the business and is getting ready to break another record. The big hitch in this plan is that a kid manages to sneak out of her door and grab onto Sully. He must now find a way to return her to the human world without anyone noticing. His reputation is at stake, but he quickly finds out that kids may not be as dangerous as he was told. Will he make the right decision and help her out or follow corporate and not ask any questions? Pixar has definitely come up with another very interesting world here. Doors that lead you to other worlds really sounds like something out of Kingdom Hearts. A whole society being born out of it is also very interesting. There’s definitely a lot you could do with the concept. If only Watermoose had adapted to the plot twist that laughter works just as well, he could have really been raking in the money. It’s sad because he seems like a decent guy for the majority of the film. I suppose they usually do seem nice at first though. He shows his true colors by the end though and the cops had the last laugh. Still a fun antagonist though and he can fight which is pretty impressive. The writing is pretty solid for the film and that quickly makes the main characters pretty likable. Monster, Inc. has good pacing as well so it never really drags on. The film goes by in a snap with no real weak points. Even the brief Yeti part of the film had the potential to drag on, but the characters didn’t stay there for very long so I’d say that it wasn’t bad. The door hopping shenanigans at the end of the film do raise some questions though. They would jump in one door and escape through another. This is because Boo powered up all of the doors, but then can’t Randall do the same? I mean, if he is still alive anyway. If he isn’t, then there was no reason to break the door either though. I guess it’s better to be safe than sorry though. The animation is pretty consistent with Pixar’s usual style. The character designs for the monsters and the humans are classic at this point. We even get a quick fight scene which looks good even if you’ll wonder how Randall can be so much more skilled than Sully. You’d expect the main character to put up a better fight considering how much raw power he has right? I guess he just wasn’t ready for invisibility and I suppose it can take you by surprise. There isn’t much of a soundtrack here, but maybe next time. Sully is a good main character. He never let the fame go to his head even when he was the fear champ. He looks out for his friends and while he didn’t plan for Boo to be around, he still takes her appearance in stride and then aims to protect her. He’s just a nice guy who always makes the right call. There’s nothing really bad to say about him. He has no real negative qualities unless you count his poor combat showing, but that really can’t be held against his personality. Mike provides a nice contrast to Sully. He is interested in the records and getting onto the covers of various magazines. He has bad luck with a stamp always canceling out his face, but always looks on the bright side of things. He talks a good game and doesn’t really fear anyone. His only downside is the romance plot. It’s one of those romance plots that is rather small, but still cringe-worthy and doesn’t add anything to the film. It’s just there so the film can say that it had a romance plot, but we didn’t need one of those. Mike and Sully may bicker at times as they disagree on what to do with Boo, but at the end of the day they’ll always be friends. better character in a sequel since she’ll be older and more experienced. At least she can fight though which is really good since self defense is a must. While Watermoose is the head honcho of the villains, Randall is still the main antagonist. He really wants to be the scare king and will do anything to get the title. He gets rather drastic by the end and is willing to attack the heroes to get what he wants. Of course, his skills don’t matter much against full fledged adults as we see by the end of the film. He’s a solid villain who is nice to have in the film. Whether he is acting as a rival or a pure villain, he’s definitely a lot of fun. Randall is able to be charismatic while also being a threat. There is a group of workers who try to keep the place sanitary and they are definitely some of the best characters in the film. One of them goes for a full body slam on an unsuspecting citizen. They are certainly over the top with their methods of keeping the germs at bay, but you can never be too safe. There will definitely be no contagion event in this film since they have the place under lock and key. They may not be appreciated by the monsters, but their duty and service is the only thing keeping monster world together. All right, it’s time to take a rough look at how all the Pixar films stack up. Here we go! Cars, Cars 3, Inside Out, Incredibles, Monsters, Inc., Cars 2, Finding Nemo, Finding Dory, Up, Ratatouille. At the very least this is how I’d rank them at the moment. There are quite a few close ones in there but there can be no ties so I had to make the tough calls. We’ll see how Toy Story ranks once I finally check that one out. I’ve heard pretty good things about that series. Overall, Monsters, Inc. is a good film that has definitely aged well. It’s the kind of movie that has quite a lot of replay value so you could watch it multiple times because of how fast it moves. It’s just a charming film with a lot of heart and an upbeat tone all the way through. The ending gives it a nice boost as well since it’s the perfect way to wrap things up. Ending another way would have just been needlessly sad. If you haven’t seen it yet then I’d definitely recommend giving this film a whirl. It’s a fun premise and doesn’t go too far in making the monsters appear cowardly either. The writing is solid enough to keep the film balanced. Hopefully the prequel is as good although it’ll certainly be tough. It’s time to take a look at the end of the trilogy. 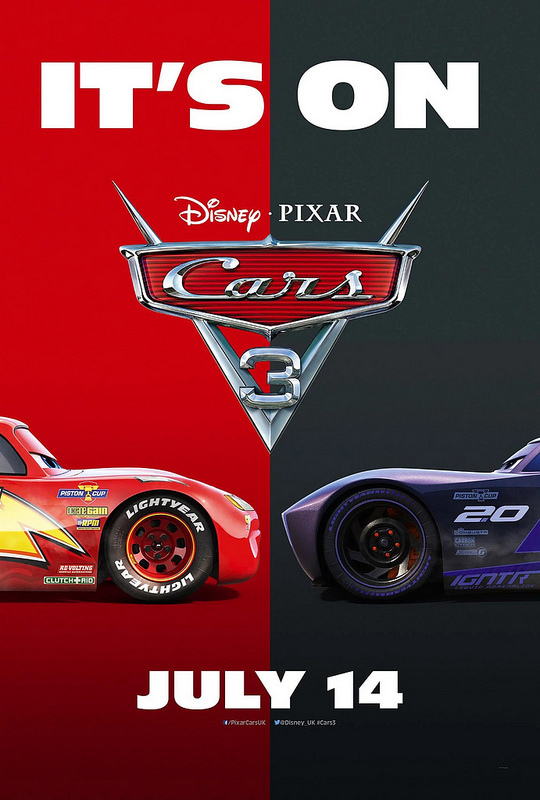 Cars had a good run as there aren’t too many Pixar films that have gotten two sequels. That being said, while the final installment is pretty solid, I’d still say that the original Cars is the best one. This film just had one thing that went against it, but it was a fairly big thing, the ending. The film starts off with Lightning McQueen in a big race. He is at the head of the pack as per usual but then he is passed by Storm, a new kid on the block. The kid claims that he used to look up to Lightning, but that the main character is just too old to compete nowadays. He throws a lot of age related burns Lightning’s way and the lead pushes himself too hard as he tries to catch up and ends up getting into an accident. This leads him to stay out of the races for a few months, but nothing can keep Lightning down for very long. He decides to get back into the races and to do that he will have to use the latest training tech. His sponsors were bought out by a millionaire who loves the high tech stuff, but he may not be quite as nice as the older guys. At the end of the day, Lightning is going to have to prove that he has what it takes to get back on the track and claim victory. The theme of the main character getting old and being surpassed by new talent is certainly a tried and true one. Rocky is certainly well known for doing it. We even get a lot of training for Lightning as he tries to get better although the film fumbles this part a little. Lightning’s personal trainer, Cruz decides to follow him and she doesn’t believe that he has what it takes to go all the way. As such, Lightning spends most of his time helping her out instead of actually training. He doesn’t get much faster than he was so in a way old and actually ended up winning this time. Lightning looks good during the final race but he doesn’t end up winning so that’s too bad. It’s not like he got a clean win in the first film either but at least it was obvious he was going to win and the crowd reinforced this. In this film Lightning was only projected to make it to the top 10 before he tagged in Cruz. To be clear, the point of this part of the film is that Lightning couldn’t train as much as he wanted too so that was the film’s intention. I just say they fumbled the ball because the plot took a different turn than I had been hoping for. I wanted the hype comeback story where Lightning wins and then I’d be fine with him retiring. Having him put it all on the line one last time would have been exciting. Maybe Lightning would have been able to take 1st or maybe not. We’ll just never know. As the ending played I thought that Lightning and the trainer would both be competing but under different teams. That would have been neat. The animation is as solid as ever. The film’s definitely does a great job with all of the car designs and I still crack up at their facial expressions. Throw in the grins and you are constantly entertained. The racing scenes look really nice and the music is also pretty good. The film has an actual soundtrack which is nice. Cars 3 definitely did a good job on all the technical levels. Even the way everyone says “Lightning McQueen” is a lot of fun. I don’t know why but they always seem to taking a jab at him with the way they stretch out his name but maybe I am overthinking it. As expected the writing is also really good and is a considerable upgrade from the last film. It is just really great to have Lightning back as the lead. He does a great job of looking like the seasoned veteran you would expect him to be at this point. The mind games don’t really work on him at this point and he doesn’t take his training for granted. Even his depression phase was quite small and he snapped out of it very quickly. I do think it makes the initial teaser very misleading as the crash wasn’t nearly as bad as it implied, but it was a good misdirect. After all, the crash still did happen so it certainly wasn’t false advertising. It’s probably safe to say at this point that Lightning is one of Pixar’s best leads. The supporting cast is solid as well. They brought back Lightning’s rival from the first film and he definitely does not like Lightning any more than he used to. In fact I’d say his aggression has only increased with age and he takes numerous shots at McQueen whenever he is on the air. His segments are definitely a lot of fun and certainly is a highlight of the film. What you have to respect the most about this guy is that he isn’t trying to put on some kind of act. He is straight forward about how he doesn’t like Lightning and I dare say that he is the most enjoyable character in the film. It just doesn’t get better than this guy. The new villain is also pretty solid. Storm thinks that the younger cars are the ones who should be on top of the circuit and is always throwing insults at Lightning based on his age. He has a great design and his speed is certainly the real deal. The scene where he is training and passes a hologram of Lightning is a lot of fun as well. Jackson is arrogant and extremely confident. Those are definitely qualities that you always want in a villain and he pulls them off very well. We have yet to have a bad enemy racer for Lightning which is pretty impressive. All 3 opponents were fun villains. At least this one doesn’t play dirty til the end so he did win all of his races with skill. Finally we have Cruz. I’m afraid that her character was a bit of a miss since the movie tries to portray her as a prodigy with the oblivious nature of Mater. This isn’t a good combo for many reasons, one of which is that these character traits really clash. You can’t be someone who really knows what to do on the track and also not have any real common sense for new roads. When she heads to the beach for the first time she has absolutely no idea how to drive. Cruz can’t turn and falls in every puddle. She is exaggeratedly bad at being a racer despite earlier scenes making a point of showing that she was great at the simulator. Then she is supposed to be a great trainer who is great at helping any car get to the next level. She individualized the training for each car based on which obstacles they had which prevented them from getting to the next level. Yet, she could not do the same for Lightning and instead seems to be trying to sabotage his chances of being ready for the race. Perhaps the angle that the film was going for was that she was such a big fan of Lightning that she really did think he was too old and didn’t want him to tarnish his legacy. That theory is a bit of a stretch though and either way it doesn’t really help her case. The part of her character that had the most potential was her dream of driving but even that is a little murky. When this plot was first introduced I figured that they were going to say that Sue wasn’t able to be a racer because girls weren’t allowed at the time or in her district. It would have been very disappointing for her and would have been a legitimate reason for her to have hung up the tires in place of being a coach. Instead, she was simply intimidated by the cars and quickly gave up. It’s hard to be sympathetic to her plight because it sounds like she never even gave it a second go. She couldn’t have been all that excited to be a racer if she gave up on her goal so quickly. At least for me, this twist weakened her story. I should wrap up this section or it’ll start to be as long as the rest of the review! This is just my explanation for why her character was ruined out of the gate. Her personality and what we knew of the character completely clash with each other. She appears to be smart and competent in some scenes and not so much in others. You’d think that the film switched writers midway or at least made some big changes to he character. As for the other supporting characters, they were okay. We got a group of older cars who help Lightning get ready for the race with some motivation and a track for him to ride on. They don’t appear too much of get much of a role, but they seemed like solid characters. The other cars back home got their cameos in as well. The only relatively weak part of the film is when the gang heads over to the underground racing arena where they fight a Magic School Bus homage. It’s not so much that this is a bad scene but it basically feels like filler and I didn’t care for any of the characters there. This was also during the phase where Cruz was pretty annoying. I suppose it was a good way of showing that Lightning is proficient in all kinds of races, but that probably could have been handled better. Overall, Cars 3 is a good way to end the trilogy. If the story does end here, it’s not such a bad way to end off. Lightning still should have won the race and that would have solidified this as a great film and the best in the trilogy, but I suppose you can’t win them all. If you’re looking for a fun racing film with a good lead then you have come to the right place. What really makes Cars 3 so solid is the fact that the writing is certainly on point. It’s an enjoyable film even when not much is happening because the dialogue is good. That being said, the pacing is pretty quick for the most part. I would definitely recommend this film. It’s an all around solid movie. Cars 2 is definitely a sequel that never hit home with the fans the way that the first did. There are quite a few reasons for this, but the biggest one is that Lightning McQueen has been dethroned as the main character in favor of his comic relief sidekick, Mater. This is a huge downgrade and while Lightning still has a fairly big role, his scenes mainly remind you how great the film would have been if it had stuck to that. The film starts off with Lightning McQueen finally coming back home in order to relax for a bit before the races start up again. He hangs out with the gang and looks forward to a good time. Unfortunately, Mater notices a car named Francesco mocking Lightning on a radio show and tries to defend him. Mater does such a terrible job that Lightning has to defend Mater and it forces to step back on the track in order to prove himself. Mater may have gotten Lightning into this, but it’s up to our favorite race car to get himself out. The only problem is that Mater is sacrificing Lightning’s chances to win at every turn. Can McQueen still pull out one last win? As I mentioned, the film is quite good when Lightning is on screen. He has certainly kept his development from the first film and doesn’t regress in any way. He is now the experienced veteran that you would expect him to be and he even won 3 World Championships off screen. McQueen coming back to visit for a while instead of entering more races also shows what a quality character he is. When Lightning is forced to go up against Francesco, it is a very tense race because both of them are champions in their own right. It’s also a fun all star race because there are a bunch of other cars who are known from various other countries and are competing in this race. While it’s clear that the main two racers are far above the others, it’s a good way for the film to raise the stakes. It’s a natural continuation of the first film’s plot and Lightning is already established as a good enough character where you definitely want to root for him. While he’s not an all powerful race car on the track and Francesco is actually faster when going straight, Lightning pulls out everything he learned from racing in the town and that gives him a really good edge by the end. Then Mater’s bad advice makes Lightning lose the race and we’re reminded that this epic plot is only the subplot. The main plot actually follows Mater as he helps out two secret agents known as Holley and Finn. They have to stop someone from blowing up all of the cars in the Grand Prix. The two agents think that Mater is actually someone else since the actual agent put his tracker on Mater in a last ditch effort to keep the intel from the villains. The problem is that Mater isn’t very smart and the agent still did end up dying. It’s a rather brutal scene and it’s definitely a big contrast to the rest of the film. The whole movie is so light hearted otherwise and you’re not supposed to give the poor agent a second thought, but it still is quite sad. Mater could have saved him if he was a little smarter. Again, this is where Mater will likely lose you. You’re supposed to root for the guy since he means well and by the end of the film he realizes that he has to get a little smarter. That would be fine, but the problem is that he is a little too over the top for you to actually buy into it. The film does wipe away his biggest mistake of making a mess all over the carpet with a plot twist, but he’s still just a really bad character. He certainly isn’t someone you can root for, that’s for sure. The plot is rather predictable as the characters naturally find out the truth about him at the end, but by then it’s too late. Mater is easily the worst character in this film and I took it personally right when he sabotaged Lightning’s first race. save the day with her gadgets. Finn is the other agent and he’s a veteran who has been in his share of fights. He definitely knows how to use hand to hand combat even though he is a car and while he is completely fooled by Mater’s act even more than the rest of the characters, he also ultimately decides to be Mater’s friend anyway. The action scenes are fun and the homages to James Bond work well. See, the film’s humor isn’t all that awful. In fact, when Mater isn’t around it can actually be pretty enjoyable. It has a nice blend of quick lines and situational humor. It’s just that Mater makes everything dial it up to a 9. This wouldn’t even be a bad thing if he didn’t have to end up saving the day at the end. That’s really what makes the whole thing cheesy. A good example of an exaggeratedly unintelligent character is Knuckles from Sonic Boom. He pulls off the role because it’s not like he’s actually some kind of excellent secret agent or anything like that. In fact, things with him don’t even end up panning out all that well most of the time. It makes the whole plot feel a lot more natural and wholesome. Mater is just given way too much credit. As far as rivals go, Francesco is rather generic. He’s really just here to fill in the role of the mean rival car. He doesn’t actually do anything past the role, but he doesn’t do anything wrong either. I definitely didn’t mind having him around and seeing more of him would have probably been fun. It’s just a shame that Lightning’s supporting cast is always around to embarrass him and hurt his arguments. Even Sally looks really bad in this film so I can see why Lightning just takes the pit crew with him and leaves his other friends behind. They’re not exactly morale boosters. Some of the situations also seem a little forced for the plot. Lightning would certainly know better than to get off the road when Mater tells him too. This is for 2 reasons. One, Lightning can see that it’s a straight path ahead and since he knows that you should never turn in such a situation he should have just ignored the advice. The bigger reason is that prior to this Mater had already been rambling into the intercom as he chased after Holley so Lightning could easily put two and two together to know that Mater likely still wasn’t talking about him. There’s no way he should have actually ended up losing that race. Lightning McQueen had that in the bag. Well, as expected the animation is still pretty sharp. I wouldn’t necessarily say that it looks better than the first film as to me they basically seemed equivalent, but they’re both of really good quality which is the important part. Pixar doesn’t hold back here and the character models for the cars are good. As we finally got some action scenes here as well, we got to see how Pixar would handle them. I’d say that they worked out pretty well. On the technical side of things this film certainly aged pretty well. 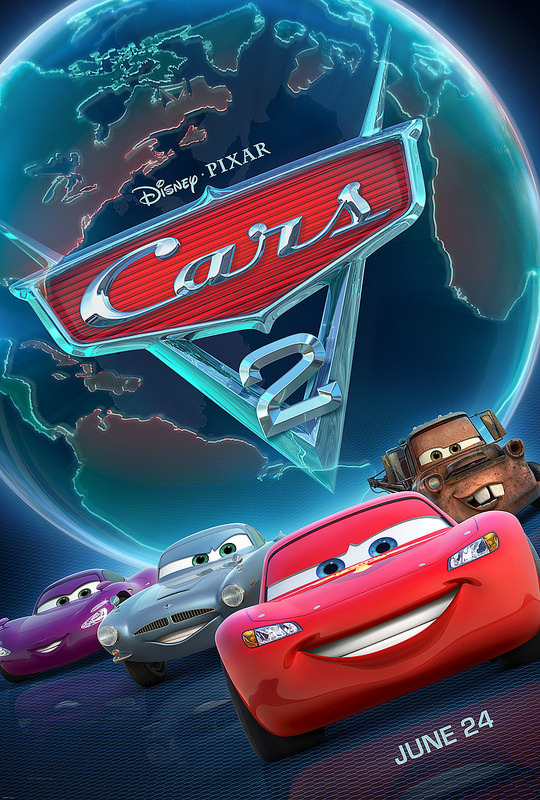 Overall, Cars 2 is a decently fun sequel to the original Cars, but it is definitely not quite as good. You can certainly tell that they chopped the quality down a few notches for this one and I don’t know what they were thinking with Mater. If the main character had been Lightning and his plot was the focus then this film would have been a lot more fun. Even the ending keeps the film from going strong as Holley’s personality flies out the window as she likes Mater for no reason (Again, the film is giving Mater too much credit even though most of this situation is his fault) and Lightning doesn’t even beast Francesco in the end. Was a clear cut victory too bold for the writers to pull off? Those mistakes are definitely regrettable, but at the end of the day you should still enjoy this film. It’s a fun enough movie to watch and the pacing is good so it flies by. It has a good amount of replay value and at least I thought the set up and presentation for the big tournament was great. Whenever the subplot is happening, the film is at its height. It’s time to look at one of the more well known Pixar films. This film got a bunch of comics, games, several movies, spinoffs, etc. It just got really big and that’s definitely cool for the series since this film is pretty good. It’s a fun adventure with some nice racing scenes and is essentially Barakamon’s plot, but with cars. I can’t say that I’ve really seen a whole lot of car racing films, but I’d definitely put this one very high on the list. I can also admit that I did not miss the humans. The film starts with Lightning McQueen in the biggest race of his life. He is a rookie, but has ascended through the ranks thanks to his legendary speed. While he doesn’t win the big Grand Prix, he makes it into a 3 way tie for first place. A tiebreaker race is announced, but on the way there Lightning gets lost and lands in an old, abandoned town. Only a few cars live here now, but their businesses are dying thanks to corporate interference. A new highway has been built now and so nobody actually uses this one anymore. I feel bad for them, but if you can save 10 minutes then there really isn’t much of a reason to stop there. Will Lightning learn a few lessons about humility and not always taking the fast track through life or will he escape this town at the first opportunity? Lightning is essentially like Tony Stark. He starts out the film as a very arrogant guy who only cares about himself. He wants to win at all costs and believes that he can do everything by himself. During the course of the film he learns that teamwork is important and that helping people out can be fun. Naturally I liked his more arrogant self quite a bit, but he’s a well developed character and nice Lightning is still a good character as well. He’s still as fast as ever and now he has a real team behind him. I do think this will make it tough on the sequels since I really wouldn’t want his character to regress. We really shouldn’t have too much drama with him because now he’s learned to be a team player and gets along with everybody. Well, it’ll be interesting to see how they handle this in the future installments. The town is also fairly nice. I do like the fact that they have a court room with lawyers and everything. The court room scene is one of the better parts of the film as Lightning almost gets out instantly but then his plans get ruined by the main heroine of the film. Sally. She convinces the judge that Lightning should pay for the damage that he did to the roads and so the main character is stuck fr a while. He does have the good idea of trying to get out by quickly dashing off, but the town is too clever for this and makes sure not to give him enough gasoline so he runs out in the middle of the desert. These cars turned out to be a lot more clever than Lightning gave them credit for. There are quite a few characters in the town, but lets talk about the main ones. Sally naturally gets a pretty big role. She has the biggest impact on turning Lightning into a nicer person and gives him a chance. She can race fairly well and apparently is good in the courtroom so she’s a very balanced character. Doc is the judge and an ex racer. He’s a decent character although I do have to question his backstory. He claims that after he was injured people didn’t care about him and it was hard to get back on the track, but couldn’t he simply win his way to the top again? If nobody thought he could do it then it was on him to prove them wrong. As a result I really couldn’t sympathize with this guy. Still, he wasn’t a bad character. Mater is Lightning’s comic relief sidekick. He is falling apart, but he means well and is a nice guy. There’s nothing really negative about him, but he doesn’t add anything to any of the scenes. He’s really just here to be here. I preferred the truck that drove Lightning around. He seemed like a nice guy and so I’m glad that Lightning stuck with that crew. They may not be rich or anything, but they do seem to care about Lightning and are a group of fun cars to be around. They should get along with the townsfolk based on their personalities. Of course, Lightning had the two meaner rivals to deal with as well. The King seemed like an all right guy though and his skills are pretty good. He stays at the front of the pack for about 90% of the race and always plays fair. Unfortunately, I guess he expects everyone else to play fair as well since he seemed unprepared for the others to crash into him. He’ll have to improve his skills, but since he’s retired I guess he won’t really need too. The other rival is essentially like Lightning, but a little more extreme and he never got converted. He’s definitely the most serious threat to Lightning and gets a lot of burns in. The film definitely did a good job with the two rivals. It makes the races a lot more fun for sure. Lightning’s visions were also correct since his rival really made the most of the head start while Lightning was busy at the village. The animation looks pretty solid. I’d say that the movie probably put most of the budget into the first race as it definitely is the most impressive part of the film. The character designs are on point throughout and the final race also looks pretty good. I would have liked more than two races, but I suppose it would have been tough to squeeze more in. As it stands, the two races definitely gave us a good bit of action. Pixar is definitely known for their quality and this film is no exception. I would have liked to have seen more of Harv though. He never actually appears, but still ends up being one of the most influential characters in the film. The guy knows what he is doing so it’s easy to see why he became an agent. Lightning could learn a thing or two from him since I wasn’t thrilled with the ending. Everything about the ending was good except for one part. In a moment of kindness, Lightning decides not to cross the goal line and instead pushes a crushed car to the end himself. That’s nice of him, but Lightning was right outside the goal line so he should have quickly touched it and then saved the guy. It wouldn’t have even taken a full second and so it wouldn’t have made much of a difference. Why let the rival win when you don’t need too? It’s supposed to be a powerful scene of Lightning finally realizing that winning isn’t everything, but when you’re that close you’ve really just got to grab the win. 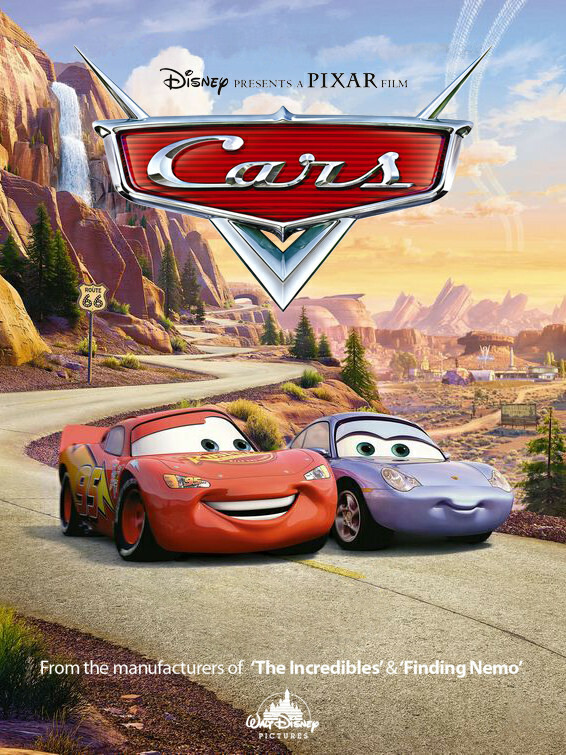 Overall, Cars is a very fun film. It’s a very peaceful movie despite the quick car scenes. Fortunately the dialogue is strong and the cast of characters are interesting. It’s a film that is carried along by the quality of writing. This transforms what could have been a mildly interesting film about a bunch of cars talking into a really enjoyable experience. When you think about it, not much happens for the majority of the film since it’s just Lightning hanging around the town, but the film never ends up dragging on. It just keeps on going slow and steady to the finish line. That’s when you know that a film is good. A good film needs action scenes to keep it on top. A great one can be good with dialogue alone. It’s not as if I’m calling this a great movie, but it’s a very good one. It has a lot of replay value and gets a good mix of action and comedy. The humor here isn’t too forced or out of place. It’s given in nice, small doses that work well. If you haven’t seen this film yet, then I’d definitely recommend checking it out. Hopefully the sequels can be as good. 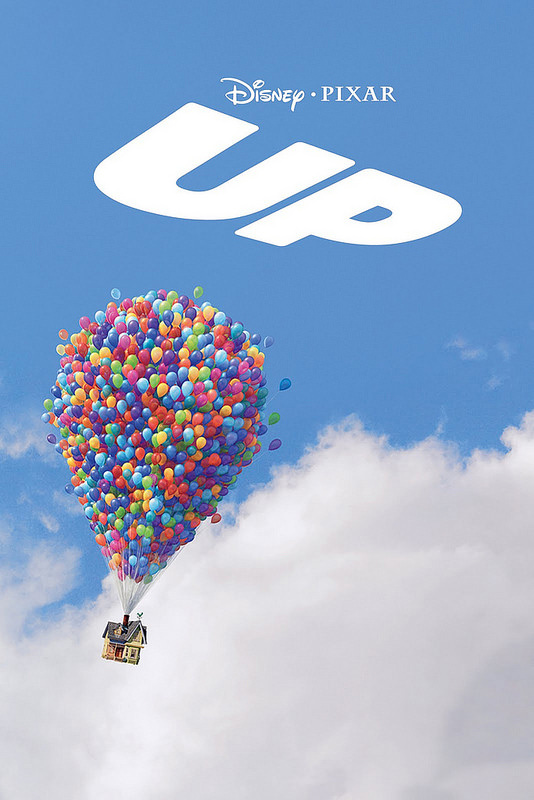 It’s time to take a look at Up. This film got quite a lot of hype back in the day. It was known as one of Pixar’s most emotional films as well as one of their best. I’m afraid I couldn’t really agree on that. Still, it is a decently good film, just one that is a step behind other hits like Finding Nemo, Inside Out, and Cars. Let’s take a look at why that is. First, here’s the plot of the film. It starts out with a very timid kid losing his balloon and getting scared out of his mind by his neighbor. He isn’t the bravest kid as you might expect but years pass by and they get married until she dies. Her only wish was to go to Paradise Falls with him so he decides that he will get her there. He plants a bunch of balloons and uses them to lift the house, but a kid has stowed away on the balloon. Now the main character will have to try and land the house in Paradise Falls while keeping the kid alive as well as watching out for a bird hunter who has a pack of trained dog hunters who obey his every command. This film is definitely trying to go the emotional route. Although it immediately tries for a comedy moment the scene after the heroine dies. That was probably to try and keep the film from getting too dark. What holds this film back is definitely the main characters. The kid who travels with Carl is really annoying from start to finish. Sure, he is desperate to get his final badge, but annoying an old man into relenting to the task barely counts at all. He should have just quickly ran to the retirement home to try someone else or perhaps waited a bit. He doesn’t take the adventure very seriously and also isn’t very smart. He always makes sure to say the wrong thing at the wrong time which can get pretty annoying. There is never a moment where he develops into a good character and the film would have been better off without him. This is exactly why I’m not a huge fan of having kids play a big role in a film. Carl isn’t a great lead either. It’s partially because you know he is about to soften up and that his tough exterior is just for show. After he was so mean for the first half of the film you can’t buy into his change of heart. He should have either stayed mean, but his actions happened to coincide with the kid’s goals or started out nice. It’s also a big change from when he was a kid since at that point he seemed to be a nice kid who could barely even talk. I didn’t care for that intro to be honest but I suppose it wasn’t too long. The main character going from that to not caring if the bird is captured and trying to evade the animals is a real 180 for his personality. The villain was definitely interesting. At least he needed to capture the bird alive so he made it clear that he wouldn’t harm him. He also means business as he destroyed all profit seeking travelers who came after him. You’re not going to pull the wool over this guy. I do have to wonder how he was on this rock for so long and never found the bird. This guy may have been an explorer but he certainly isn’t a good tracker. The animation looks pretty good for Up. It’s the usual Pixar style so you either like it or you don’t. It’s clear enough and their style of character designs are always fun although everyone ends up looking rather chubby. Unfortunately there isn’t much of a soundtrack to complement the animation. Perhaps for a sequel someday that will change, but there isn’t really much they could do in a sequel. The talking dogs was a fun element in the film. Doug was a reasonable character and while it would have been cool if he was a little smarter like the other dogs, the whole point is that he didn’t really fit in with the others. At least now he has a better home where instead of traversing the wilderness he can sit down and have a snack. The Bird couldn’t talk, but the roars were definitely intense. He did a good job of keeping the main characters on their toes and reminding them of the Peking order. I guess there is just something about the movie that didn’t click with me that is hard to pinpoint. Perhaps it was too ordinary? The film definitely has less fantastical elements when compared to other big titles like Cars (Talking cars and the society around them) or Inside Out. (Where each person is controlled by other people) Then as a normal slice of life it just isn’t as good as it could have been. Maybe the film just didn’t have enough heart or the plot wasn’t handled the right way. I do think the film would have been a lot better if the two main characters had been the old man and his wife. They would have had a much better dynamic than him and the kid. Finally, maybe it’s that the other plots in the movie seemed to be more interesting. 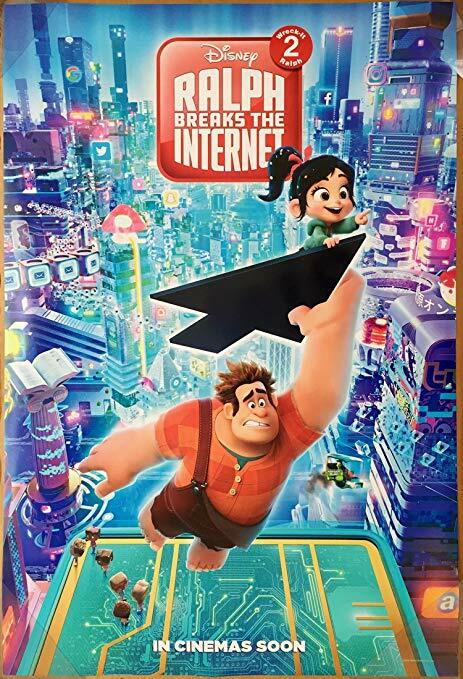 A film about Carl trying to keep his house amidst a changing world could have been pretty interesting or Carl actually making it to the Falls and trying to adapt to life over there. Instead we get a lot of trekking which would be fine…with better characters. Overall, Up had its fun moments, but including the kid as one of the main characters was probably a bad move. He just doesn’t add anything to the film and comes off as an ingrate who tries to guilt trip the main character. If he could actually fight or do something against the main villains that would be one thing, but since he wants the senior citizen to fight the battles, it’s hard to like the kid. Traveling on a flying house is definitely a cool concept though and the writing wasn’t bad. It’s a fun enough film that I can recommend. Just don’t expect it to be the next big thing. It’s been a long time since I first saw this film. Over 10 years for sure. I still have a tough time spelling out the name to be honest. I also forgot that it was a Pixar film so it’s cool to see their track record get longer and longer. It’s definitely a fun film, although a step down from many of their other titles thanks to the weak cast and poorly handled romance. It is fun seeing the food though and as I’m always hungry, I always enjoy seeing food. I’m hungry even while writing this review, but I must press on! The film starts off by showing us a famous Chef named Gusteau. His restaurant was known as an amazing 5 Star place, but one day the legendary food critic, Ego showed up. He didn’t like the food so his review took the restaurant down by a star and then Gusteau quickly died from the stress so it dropped another star. The place is under tough times right now, but the new owner, Skinner is making the best of it. He’s selling out the company name to any microwave and frozen food company that will take them. If the restaurant is going to go under soon, they may as well make some money in the meantime. He actually has the right idea here. Unfortunately for him, his plans are put in danger when Gusteau’s secret son shows up and he has the right to inherit the place. Can Skinner keep the kid in the dark until he officially takes ownership of the place or will Linguini figure out the shady plot? Meanwhile there is a Rat named Remy who is a super cook and controls Linguini by pulling on his hair. He is the secret behind the boy’s genius. While the film does go out of its way to try and make the main Rat hygenienic, I can admit that I probably wouldn’t want him in my kitchen. I’m cool with Dogs running around since it’s not like they’re actually handling the ingredients. Just thinking of a rat grabbing all of the foods and making it is a little tough to swallow though. So, while it’s a cool plot, I wouldn’t want to be one of the people who ate at the restaurant. Imagine your reaction when you found out the truth one day thanks to the newspaper. It would definitely be pretty brutal. Remy is the main Rat and he is definitely enthusiastic about cooking. He’s a likable enough lead although letting his family pressure him into stealing was definitely a big flaw. I understand it working once, but once it became a regular thing that became a problem. While not as bad as Linguini, Remy also wasn’t a very good character. He definitely needed more will power if he was to succeed here. Skinner is the mean boss who tries to undercut Linguini at every point. He’s definitely a villain and doesn’t play fair. Still, he’s a fun enough character so you can actually root for him throughout the movie. While he is portrayed in a negative light for selling out, it actually does make sense. I think he probably would have gotten the restaurant back to 4 stars at some point, but he would have to learn to stop playing it safe. It sounds like he had yet to come up with a single new recipe which is a problem. Linguini is a really bad character. He has very low amounts of self confidence right out of the gate which allows everyone to walk all over him. He doesn’t stand up for himself and is totally fine with taking credit for someone else’s achievements. He was willing to drown Remy before realizing that the Rat may have some intelligence. There’s just nothing to like about this guy and naturally his ego takes him over during the second half as well. While I don’t expect all main characters to be very good, I do expect them not to be actively awful. I was actually rooting for Skinner over Linguini the whole time. At least Skinner actually can cook as opposed to letting someone else do it for him. While everyone basically acted like traitors for running out on Linguini, I didn’t mind as much as I would have if he was a good character. Also, having a rat in the kitchen certainly isn’t sanitary so I can see their side of the argument. Gusteau actually isn’t a good character either. If you think about it, he possibly destroyed himself over a single bad review. He should have just kept on cooking and tried to convince Ego that the restaurant was good. He threw in the towel very quickly so even though this is glossed over I can’t forget it very easily. Colette is a good character until she meets up with Linguini. She’s tough and reminds everyone of this when she’s on screen. She had to earn her spot in the restaurant and it was apparently a very tough road. A prequel about her moving up the ranks would probably be fun. Ego is a good antagonist. He’s apparently not a very bad guy even though he definitely acts the part. Ego just wants to have good food like when he was a kid and I guess nothing can live up to that standard so he has fun destroying careers in the meantime. This works pretty well and I just think they shouldn’t have been to drastic with his character change by the end. It was handled reasonably well though and turning him into an investor was a good move. As you would expect from Pixar, the animation is pretty good. The characters are clear and the food looks good. To be honest I would have liked to have seen some more food during the movie since we actually didn’t get too many dishes. I suppose food was the setting, but not necessarily the most important part of the film though so it couldn’t be helped. There isn’t much f a soundtrack to go along with the animation though so I guess I can’t say that the package is complete. The pacing for the film is pretty good. At most, you just won’t care about the rat plots as much as the human ones. Still, they do have some scary scenes like the mice by the window moment. You also get a good look at the Rat lifestyle and can then really appreciate why Remy would want to get out of there so quickly. One aspect where the film wasn’t as strong was in the romance though. It’s very rushed and unfortunately poorly handled. Colette is the tough character of the film and she has sacrificed a lot to get here. There’s no real indication of a romance between the two characters until it just suddenly happens in the back alley. It wasn’t even Linguini’s choice as the rat forced this to start. It just comes out of left field and adds nothing to the film. It’s just here to ensure that the film has some romance when in reality it didn’t need this element. It should have just stayed as a nice cooking movie with a Rat as the Chef. That’s already all the plot that you need. If you think about it, most of the drama in the film could have been avoided if Linguini was actually intelligent. Constantly taking Remy out in public was just tempting trouble and giving Remy an equal share of the rewards would have been easy. Maybe he couldn’t actually tell the world about Remy, but giving him a bunch of new foods and recipes to try out during the day would have helped. Declining any interviews that weren’t 100% necessary would have also been good. Linguini just needed to stay grateful to Remy and focus on the cooking. That wouldn’t have even been too hard. 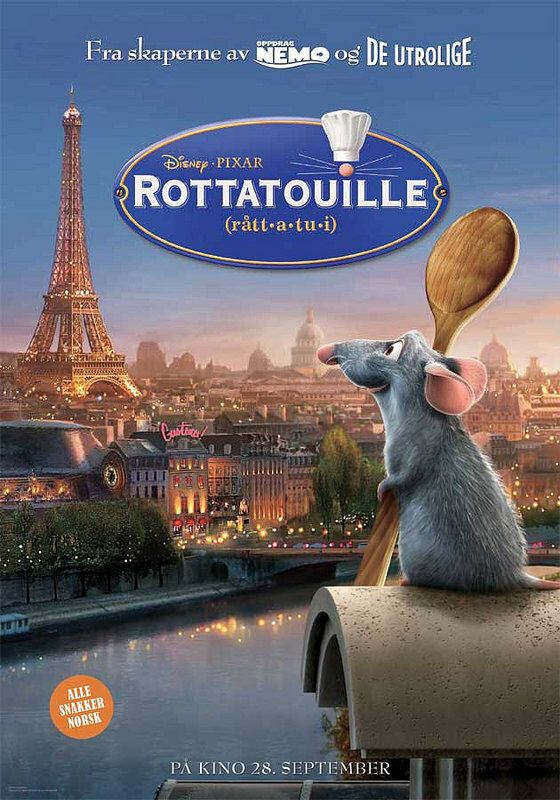 Overall, Ratatouille is a good film, but one that adds too many unnecessary elements. The romance just should not have been here. The characters also aren’t that likable. Linguini is quite possibly the weakest Pixar lead that I’ve seen. I can’t think of all the main characters off the top of my head, but from the ones that come to mind he would definitely take the title. Even when he gets braver by the end it isn’t by much. Watch this film for the food, but just do your best to tune out the main character. I’d still recommend checking this film out. It’s not a master piece, but it’s an enjoyable enough film that will keep you entertained. If they ever do a sequel, then I want a Cooking Contest. We don’t get enough of those in films and those are very entertaining. It also forces the cooks to cook at a higher level in order to beat out their rivals.